Pure sandalwood mala, 25 inches in length (each bead is around 8 mm thick). Total there are 108 beads in the mala. 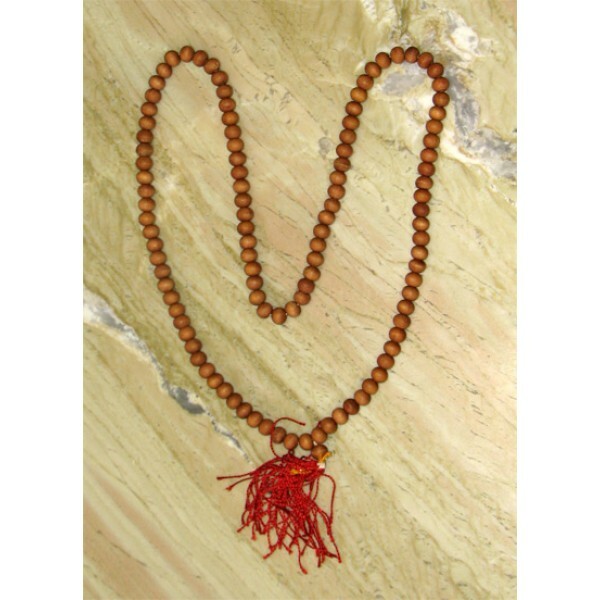 Wearing the sandalwood mala has a cooling effect on the mind and body. Sandalwood has traditionally been regarded as one of the purest substances and is valued for its cooling properties and its medicinal value too. It is believed to promote tranquility as an aid to meditation. We sell only 100% pure authentic malas of the highest grade. Be very careful of duplicates when purchasing sphatika, rudraksha and tulasi malas.